Special ops require special gear, so that’s standard duffle bag are not made to be used in the army. Israeli Weapons provide the gear that you need for those times when ordinary just doesn’t cut it. 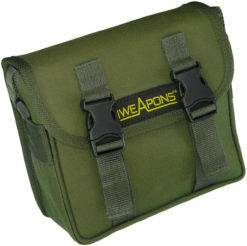 IWEAPONS® brand features a large selection of army tactical bags that are perfect for any mission. These products keep you up to code, functioning at your best and secure all at the same time. Our army bags are second-to-none. They are strong and heavy duty to carry all of your essential items plus some extra. Whether you need to store your bulletproof gear or tactical supplies for your mission, there’s a bag for you. 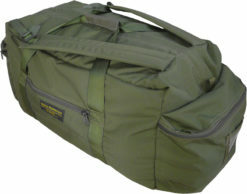 This military bags come in a variety of sizes and styles. There are numerous purposes for military bags that offer benefits both to civilians and those taking on military operations. The high quality of these bags makes these infinitely practical, no matter what you plan to store in it. These bags can also be taken in a variety of conditions which means they can be used outdoors without any worry that they will start to show wear or be compromised. Even if you are not participating in military activities you cannot deny the quality of these items which makes it easy to keep using these bags for a variety of applications. You can always use a high quality bag that makes it easy to keep things organized and ensure that everything you carry with you will be safe, no matter where you are. 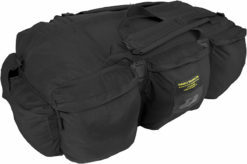 Military grade bags make it easy to keep all of your gear in one place without compromising the integrity of the product. 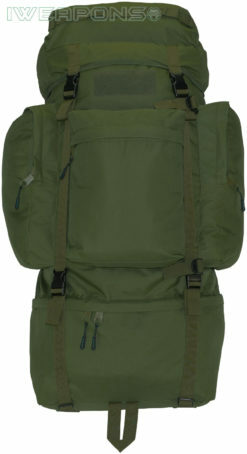 Military bags are designed to be carried for long distances, so you know that they will be comfortable to keep with you when hiking or performing strenuous activities with a bag on your back. 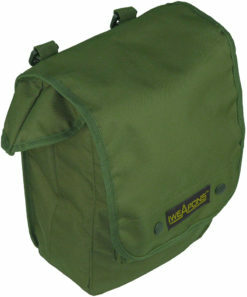 These bags are made from heavy duty canvas/Cordura that is very difficult to tear. This way your bag will not develop holes that can cause your items to go missing. 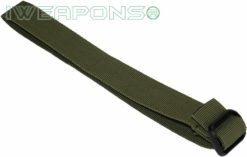 The straps are made for heavy duty which helps them to hold tight even if you are carrying a great deal of gear at once. You will be able to adjust the rest of the bag so it will hold everything you need without getting too bulky. The shoulder straps also have easy adjustments so you can move these straps around as necessary without having to yank on the straps or make a fuss. These straps have a great deal of room for adjustment so you can get the bag to sit perfectly based on your height and the other gear or clothing you might be wearing. The bags tend to have a lot of compartments so that it is easy for you to get at any portions of your gear that you might need at a moment’s notice. This can also help you keep track of where all of your gear is without having to dig through your bag to find the items that you need. 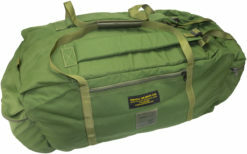 Military bags also have standard sizing which can help you determine what will fit in your pack and how you should organize your gear in order to ensure that you will be able to carry your bag along with any other items you will be keeping on your person. When you are carrying a great deal of gear over the shoulder you want to ensure that you are able to keep this pack in place without causing yourself discomfort. You also need to ensure that you purchase a bag that is graded to carry the amount of gear that you are planning on having on your person. 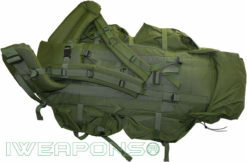 Bags rated for military use are not only designed to be carried long distances without causing discomfort, but they are also designed to hold a great deal of gear so you are guaranteed to be able to use this bag for a wide variety of applications without any difficulty. There are several different types of bags, each with their own benefits, that you can consider when purchasing a military bag for personal use. 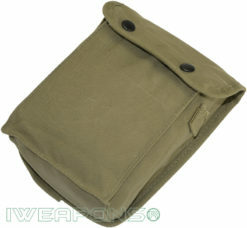 One of the most common types of bags is the shoulder map bag, commonly referred to as a military messenger bag. These are often used as an officer’s bag for carrying small amounts of gear or documents that might need to be transported during combat. Shoulder Map bags will often come in a variety of colors that are suitable for different types of dress. These bags may be more formal, but are commonly made from standard canvas that will not draw excessive attention. Shoulder bags will help to keep their shape so that any documents that are stored inside will not be damaged during transport. Look for a shoulder bag which has additional pockets that can help to organize other materials, such as pens or tracking supplies. This will help ensure the items can be found at a moment’s notice, even when you are on the move. While shoulder bags will frequently hold less gear than other bags, they should still have a strap which is comfortable for carrying long distances. This will help to ensure that the bag stays in place even if you are running or moving through difficult terrain. A duffle bag is a common choice for those that need to haul a great deal of equipment or is moving things across long distances. These bags have a large center storage area with additional pockets along the sides that allow easier access to smaller items. 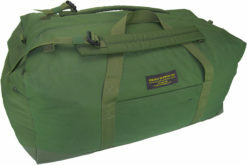 Duffel bags are typically used to carry a lot of personal items such as clothing or gear that you will need when moving from place to place. The center compartments of these bags are often rated to take on high weight loads without difficulty. Small pockets on a duffel are typically accessed with a separate zipper so it’s easy to get access to the materials you need without having to open the entire bag. These pockets can also be compressed with external straps to make the bag more compact when these compartments aren’t in use. If you are looking for a duffle that can be used in a variety of conditions, look for a bag that has waterproofing on the bottom of the bag. 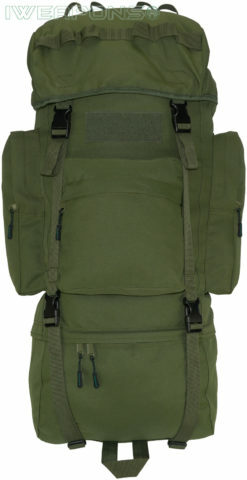 This is standard for most military-grade packs to protect the gear that is inside. The waterproofing will help to prevent moisture damage, but can also provide an additional layer of reinforcement when you are carrying the bag to ensure that it will not take damage from stones or other debris when the bag is set down. Look for duffels that have shoulder straps in addition to the standard hand holds. This will allow you to carry your pack on your back when it is full of heavy gear to disperse the weight across your body more evenly. The waterproofing on the back of the bag will help to ensure that there is not a buildup of sweat on the bag which can make it slippery or cause damage to the items which are stored inside. A backpack provides a mix of the benefits from a duffle and a shoulder bag. You can stow potentially sensitive items like documents with less worry that they will be damaged, but you can also stow plenty of heavy duty gear in this bag without it giving way. Backpacks are designed to be carried across the body, they can usually hold a great deal of weight. If you have a particular set of gear in mind, you should look for a pack that is rated for this weight level so you are guaranteed not to have trouble managing your load particularly when you are walking long distances. Backpacks come in a variety of styles, so you need to think about the setup that will work best for the type of gear you are carrying. You can get packs with a large central compartment, but there are also bags with a wide variety of smaller stowaway along the sides. Most of these are designed to hold specific types of military gear, so a bit of research will help you determine if you have the space you need to carry all of the items you would need quick access to. Like a duffle bag you need to think about the straps on your backpack. These should be padded to ensure that they will not slip when you are walking. This will also make sure that the bag does not dig into your shoulders when you need to carry a large amount of gear long distances, which could otherwise cause injury. Backpacks will also usually have additional straps attached like a duffle which can compress external pockets when they are not in use. This will help to cut down on the bulk of your bag so it’s easier to carry. 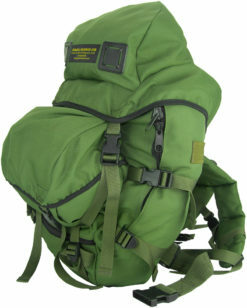 External straps of a backpack can also be used to hold additional gear in place. Most backpacks will have a designated spot for a canteen or helmet so it’s readily accessible, but will still hold sturdy so it doesn’t make excess noise or run the risk of falling out. There are some leather shoulder bags available for those that would like a more formal bag. 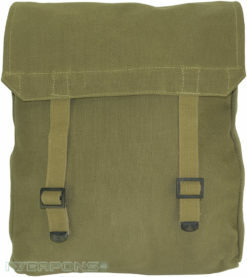 However, in most cases, bags are made from canvas with nylon cords and detailing. These tend to be more durable and are also lighter when they are carried, helping to take off some of the burden on those wearing them. Leather can also hold heat, which can be uncomfortable when you are moving around all day in the sun. 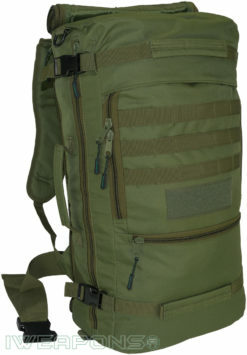 When you are carrying a tactical bag you want to ensure that you can easily move and can manage your gear. A bag that adds an excessive amount of weight or is difficult to maneuver will only cause more stress. 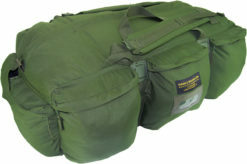 You can find a variety of bags at an army store, but these are often used or out-of-date models which are not as high in quality as the bags you would receive from a standard supplier. Israeli Weapons manufactures bags and other essential supplies for the Israeli Army (IDF/Zahal), ensuring that all items you purchase will be the latest style. Getting the most up to date gear ensures that all of the latest technological developments for these bags will be in place so you can get the most out of your purchase. When working for the Israeli Army, Israeli Weapons spends years testing out each piece of equipment to make sure it is up to military standards. With this much work put into each piece before it’s released you can be sure that it will stand up to anything you might need to do without giving way or performing in an unexpected way. 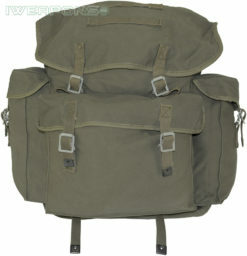 Purchasing an army bag from a direct supplier also helps to ensure that everything will be up to regulation. Military bags are designed with top quality materials. Not only do these bags need to be durable, but they are expected to be used for long periods of time in difficult conditions without losing their shape or compromising the integrity of the piece. A list of details for each bag can be found on its sale page to ensure that buyers know exactly what they can expect from the gear that they purchase. 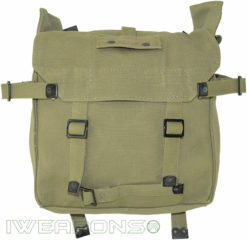 Those that are looking for military style bags often needs a large bag that they are planning on using to carry a lot of things at once. They may be planning a camping trip or endurance test which will require their gear to be stored carefully so it won’t be damaged. Military grade bags are designed with this purpose in mind, helping to ensure that they will last for years without wearing out or putting any items you might be carrying at risk. 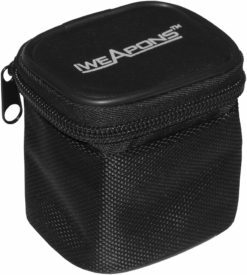 This makes them the perfect carrying case for items that require protection from the elements or secure holding when you are moving around. Investing in military bags is ideal for anyone that wants to focus on quality over anything else. You will be able to carry this bag for years without worrying that the straps will come loose or your bag will start to wear out and compromise your ability to keep your items secure. Buying from a company that also tests and develops these bags will help ensure that the product you receive will be of the highest quality and guaranteed to manage any task that you may need to put your bag through.